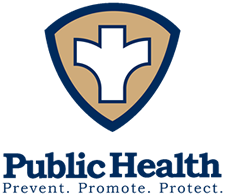 The Perry County Health Department offers educational programs to groups, organizations and schools. Special requests for presentations are considered and welcomed. For more information on the presentations, call the Health Department at (573) 547-6564. A Chronic Disease Self-Management Program for Heart Disease, Arthritis, Diabetes, Asthma, Bronchitis, Emphysema, and many others. Living a Healthy Life is a six week workshop for adults living with a chronic condition and their family members. Participants will receive a book, Living a Healthy Life with Chronic Conditions book and Relaxing CD. We also offer a Diabetes Self-Management Program that provides similar information as the Chronic Disease Self-Management Program. In this program you will learn to understand and manage your diabetes. The Perry County Health Department (PCHD) is contracted with the Missouri Department of Health and Senior Services (MDHSS) to inspect Child Care Facilities. For more information, log on to MO DHSS here. Inspections are conducted at each site to assure that safe sanitation measures are being implemented. Child care may be provided in a family child care home, a group home, a child care center, or a licensed-exempt facility (nursery school or a facility run by a religious organization). Licenses are issued to family child care homes, group homes and child care centers based on compliance with state regulations. Nursery schools and child care programs operated by religious organizations (called license-exempt facilities) are not required to be licensed. Child care is regulated through various aspects such as staffing and education, the ratio of children to adults and the ages of the children. Sanitation rules apply as well as childhood injury prevention and fire safety. Background screenings are required in addition to staff training and education, environmental health issues, physical plant requirements, space requirements and equipment requirements, all designed to make the child care setting a safe place. A Child Care Health Consultation Program is available here at the Perry County Health Department. Log on here for laws regulations and manuals. Redefined Meaning of "Term Pregnancy"
Why the new change in the definition of what is considered a "Full Term" pregnancy? This change has been the result of research over the past several years that show that every week of the pregnancy matters for the health of the baby. The last weeks of pregnancy lets the baby's brain and lungs to fully mature. You may not be able to choose when you have your baby, particularly if there is a problem with the health of the mother or baby; but if you have a choice to schedule your baby's birth, wait until at least 39 weeks. Post Term - 42 weeks and beyond. Take a minute to view this video from the March of Dimes website - "Is It Worth It". This video really does a great job of explaining why every week of a pregnancy is best for your baby. The Perry County Health Department now offers a Certified Lactation Counselor to assist women with establishing a successful breastfeeding outcome. All CPR/First Aid classes given by the Perry County Health Department are accredited by the American Heart Association. CPR/First Aid classes are set up by appointment only. Classes will be given in groups, not on an individual basis. Therefore, a single individual will be placed on a waiting list until there are an adequate number interested to hold the class. Businesses with groups of people needing to take the classes can all be set up together. Perry County Health Department is following the American Heart Association guidelines for upgrading the equipment used and has recently purchased new manequins for this training- it is equipped with sensors that will notify the participant if they are applying adequate pressure for compressions as well as appropriate breaths for a more thorough training. We have included below our prices for the various classes. Upon completion of the class, the participant will receive American Heart Association Certification. For more information or to enroll for a class, call the Health Department at (573) 547-6564.